Exhibitors, co-exhibitors and companies participating in joint exhibits at productronica or SEMICON Europa can easily go online and place orders for services, advertising space or marketing materials in the Exhibitor Shop. Our Exhibitor Shop will be available again by the end of June, 2019. Once you have confirmed your stand proposal, you will automatically receive an e-mail that contains the activation link to the Exhibitor Shop for productronica, which is valid for 5 days. 1. How do I get my login information for the Exhibitor Shop? After you confirm your stand proposal, you automatically receive an e-mail that contains an activation link, which is valid for 5 days. Use this link to go to the Exhibitor Shop, where you can create your password. Your user name is always your e-mail address. If you have not received the activation link, please refer to No. 3 in these FAQs. 2. Why do I receive the e-mail “New Stand”, even I already have been an exhibitor? Regardless of whether you already have been an exhibitor (e.g. at another fair or a previous fair), you will receive an e-mail “New Stand” that contains an activation link. Use this link and your existing access information (e-mail address + password) to log into the Exhibitor Shop for productronica. 3. Why have I not received login information for the Exhibitor Shop? The contact indicated on the registration form is the only person, who receives an activation link for the Exhibitor Shop and can use that link to create a password for the account. If a different correspondence contact has been assigned in the course of your registration, this person also receives an e-mail and automatically a sub-account. If that contact, and therefore the person responsible for the Exhibitor Shop, has changed, please refer to No. 4. 4. The contact person in our company has changed. How can I transfer the account to that person? 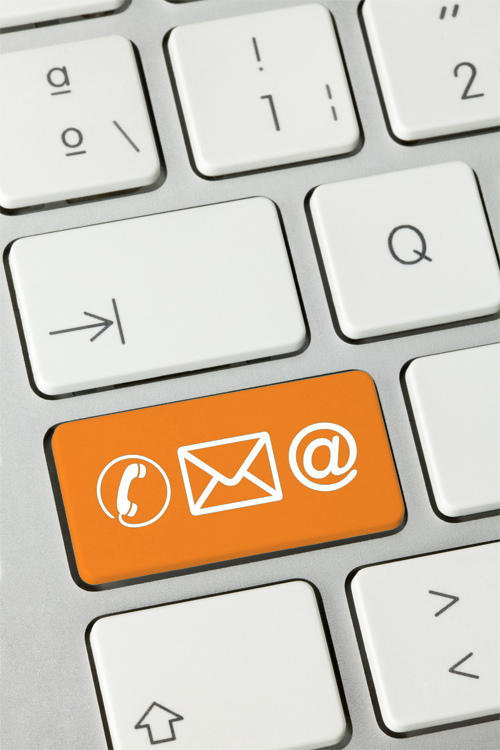 Please send an e-mail with the contact information of the new contact person to management@productronica.de. Shortly thereafter, they will receive a new activation link and can create their own password at the Exhibitor Shop. The new contact person automatically has access to previously placed orders and can continue placing new ones. After that, the previous contact person can no longer place orders for this trade fair. The account remains intact, but it will no longer be associated with the respective stand at productronica. 6. When I log in, why don't I see all of the items that are available for order? 7. What shipping address is currently listed for ordered items that require delivery? 8. Can I change the shipping address in the Exhibitor Shop? The shipping address is taken from the Messe München database. For some items, the detailed description includes instructions to enter a different shipping address in the Comments box on the Product Details page. In most cases, however, the Exhibitor Shop does not allow you to make subsequent changes to the shipping address. Therefore, if you have any questions, please contact us at shop@productronica.de or by telephone at +49 89 949-11458. 9. Do co-exhibitors get their own account? 10. Are there deadlines for ordering certain items? All dates and deadlines for productronica are available here. Please be sure to observe the individual order deadlines indicated in the respective product description. 11. How can I find out the current status of a requested item? You can access the status of your orders via the order details under “My Orders”. Detailed information is available from the supplier, whose contact information appears in the detailed description of the item in question. 12. Will I receive an order confirmation? Once you have placed an order, you will receive a confirmation by e-mail. 13. Is there a minimum order quantity? Some products have a minimum order quantity. Please refer to the detailed description of the product in question. 14. When do I pay for the items that I order? The items will be included in your final invoice after productronica. 15. What is a subaccount? Subaccounts are additional accounts within you own account. You can use them to give employees the ability to place orders themselves. 16. How can I create a subaccount? 17. How can I delete a subaccount? Generally speaking, accounts in the Exhibitor Shop cannot be deleted. However, you can cancel all the subaccount user's authorizations by deactivating them under “Manage subaccounts”. 18. Once I have logged into my account, can I place orders for multiple stands? If you have booked multiple stands, the system will ask you which stand you wish to place an order for. Select the stand in the corresponding dialog box and confirm with “Continue”. You will be taken to the main page of the shop catalog. If you only have one stand at the fair, the system skips this stand inquiry and takes you directly to the main page after you log in. If you switch to another stand, please keep in mind that everything you order will go to the currently selected stand/customer. Please be sure to always close your order before switching to another stand/customer. The contents of your shopping car will not be deleted when you switch to another stand. 19. Are the orders that I place still visible after I finish placing my order? You can view all your orders in the customer menu (which you can reach via “My user account”) under “My orders” in the menu. The link “View order” will take you to the order details, where you can review everything about the order in question. 20. What prerequisites must my Internet browser meet? 21. Can I cancel an order or individual order items? A “Cancellation request” link can be found next to each order item in the order details (which you can reach via “My Account” under “My Orders”). You can use it to request a cancellation from the supplier. Whether or not a cancellation is possible depends on the supplier's General Terms of Business. In some cases, the cancellation is already deactivated in the system, e.g. if an item has already been shipped or if a specific timeframe has been exceeded. In this case, the “Cancellation request” button no longer appears in the order details. 22. I'm still not sure I understand. Who can help me? If they did not answer your question, please feel free to contact our support team—either by e-mail at shop@productronica.de or by telephone at +49 89 949 11458.